Kidult is the problem child who paints in a righteous, primary, and no-limit way with the use of an extinguisher. 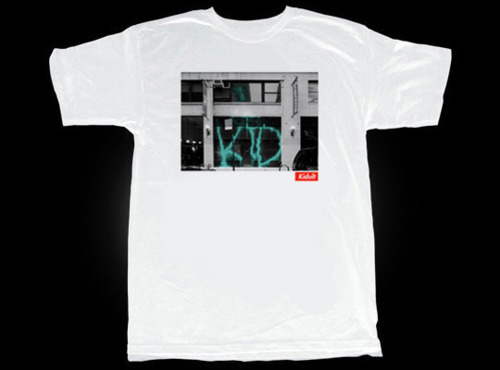 Last month this masked madman blasted Supreme's flagship NYC store now he's made a t-shirt of it you can snag HERE. Kudult had this to say about his antics, “All these retail outlets have once used graffiti as a commercial tool to get more money and be “cool” without knowing anything about the culture. I didn’t simply say “hello” to them. If they really like graffiti, I just gave them what they love.” Big ups to one of the few keeping it real.